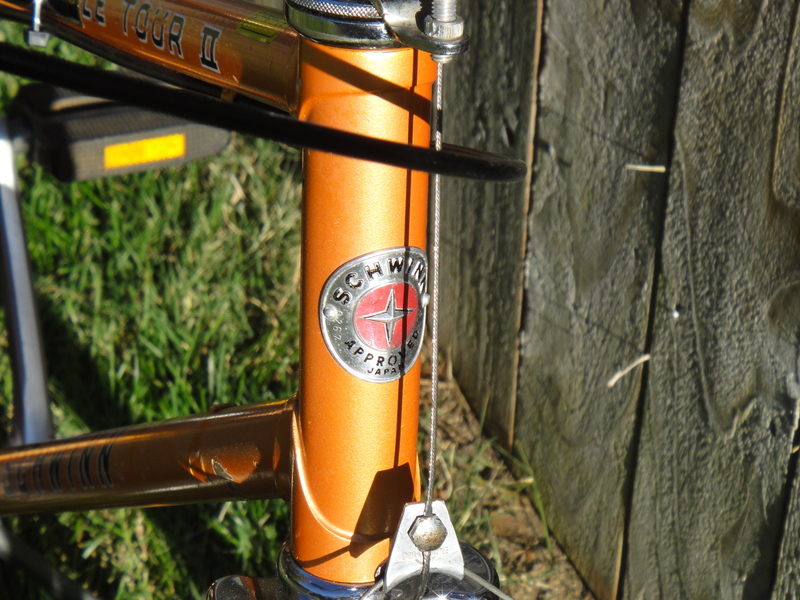 Frame and most components are 1977 Schwinn Le Tour II mixte from Japan. Bontrager Sport seat, 27×1 1/4 wheel in front with Kenda tire; rear is Weinmann with 16-tooth Shimano freewheel and worn Bontrager 700cx35 tire. Replaced rear brake with a side-pull with longer reach for the 700c wheel. 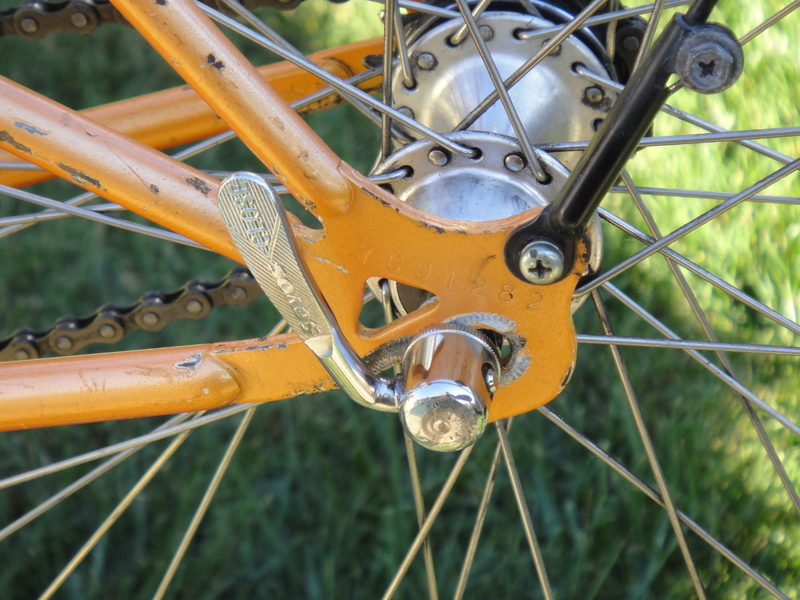 Esge/Pletscher kickstand. Weight 27.5 lbs. with my not-very-accurate bathroom scale. Built as fixie with 16-tooth cog/ 39 chain-ring. Converted it to singlespeed with same tooth count. First Schwinn build and I’m impressed with this high quality lug-framed Japanese bike. I’m remembering the fun of coasting and standing too. Cheap build using mainly original components.